Based on the evidence above, a modification to our American diet can lead to not just weight loss, healthier hearts, and lower cholesterol, but potentially limit the scope of brain related illnesses. So what are some tips on eating more “Mediterranean”? One way is to incorporate eating more fish rather than meat. Another way is to eat nuts instead of unhealthy snacks. Vegetables and beans are important, and even a moderate amount of wine can be beneficial. As with any healthy diet, it is also important to stay active, whether that means taking a regular light jog or pace walking. Also, a very important factor to remember is to have everything in moderation. Going overboard and having too much food of the Mediterranean diet could potentially have the opposite effect and lead to harmful results. Readers should also always be aware of their allergies since the Mediterranean diet does consist of a high amount of nuts. In the end one of the biggest questions that we should ask is that what kind of impact does the Mediterranean diet have when started earlier in life versus later stages? The Mediterranean Diet. : Myths, Facts, and Health Benefits of a Mediterranean Diet 2015. Eating a Healthy Diet May Reduce Brain Shrinkage. Eating a Healthy Diet May Reduce Brain Shrinkage 2015. Mediterranean Diet May Keep Your Mind Healthier in Old Age: MedlinePlus. U.S National Library of Medicine 2015. Shah A. Mediterranean Diet may protect against age-related brain atrophy, dementia, new study shows. Star Tribune 2015. Gu Y. Mediterranean diet and brain structure in a multiethnic elderly cohort. Mediterranean diet and brain structure in a multiethnic elderly cohort 2015. 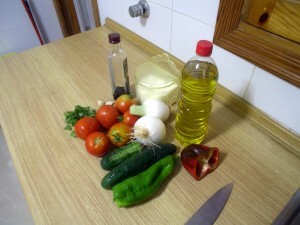 Safaris A. Mediterranean Diet and Risk of Dementia. Latest TOC RSS 2015. Could A Mediterranean Diet Keep Your Brain From Shrinking? NBC News 2015.